Herschel’s Settlement backpack is a modern daypack that opts out of bells and whistles for a cleaner minimalist design. Organizers and smaller pockets are limited to a single front pocket but the roomy 23 liter main compartment makes it up in net cargo room. 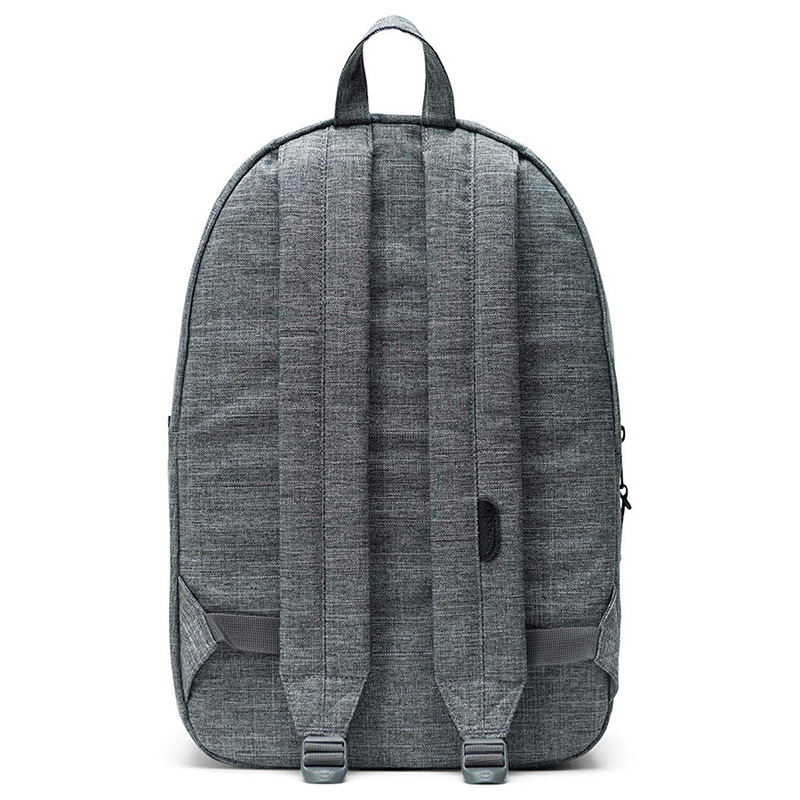 As far as tech carry goes you’ll get a laptop sleeve that fits a laptop or tablet up 15-inches and an internal media pocket with a headphone port. The Herschel Settlement is available in 2 different sizes; full size (23L) and mid-volume (17L). The specs and photos on this page are of the full sized Herschel Settlement backpack. Spacious 23 liter main compartment is big enough for books, lunch or extra clothes. Zippers aren’t the best quality. Lack of pockets and organizers for smaller items. No side pockets for water bottles.